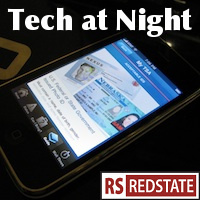 Tech at Night: The true agenda of Edward Snowden and Glenn Greenwald. Tech at Night: Bitcoin zealots freak out. Tech at Night: We really need to primary big regulator Bill Shuster. Even the Glenns Greenwald now admits that NSA work leads to dead terrorists. We come to the true agenda of Edward Snowden and his accomplices: hindering America and aiding our enemies. It’s a real shame that the NSA was apparently pretty insecure. Fortunately it sounds like he would fail today. Bitcoiners have even been scamming their allies, Mt. Gox. Democrats keep wanting blame-the-victim legislation, with the Target credit card attack as pretext. But all we need is the free market creating the right incentives. Remember when the Democrats denied that they were in favor of Internet kill switches? Now California Democrats want to add one to your phone. They insist it’s in case your phone is stolen. Sure. Well that was stupid Democrat tricks. Now for stupid Republican tricks. We’re trying to ban phones on planes. It’s like we’ve totally forgotten 9/11, people. We must defend the Internet from foreign totalitarian control.